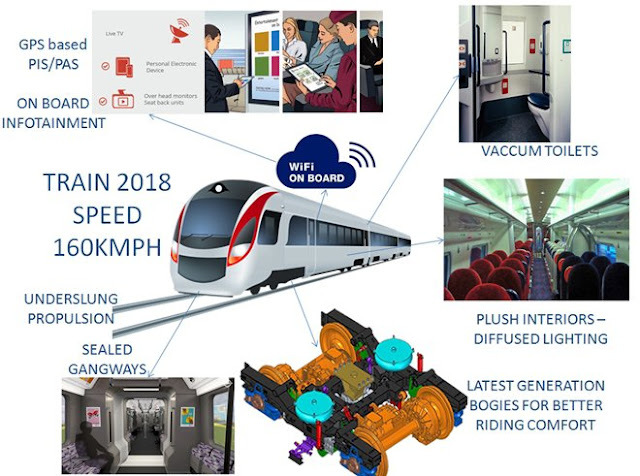 Home indian railway Indian Railways indian railways inquiry irctc IRCTC App IRCTC PNR made in india Indian Railways to roll out ‘Make in India’ 160 kmph self-propelled ‘world-class’ train sets at half the cost of import! Indian Railways to roll out ‘Make in India’ 160 kmph self-propelled ‘world-class’ train sets at half the cost of import! Indian Railways is all set to roll out a ‘first of its kind’ semi-high speed self-propelled train set! Yes, the Integral Coach Factory (ICF) will ‘Make in India’ the EMUs (Electric Multiple Units) that can travel at speeds of up to 160 kmph. According to ICF, the train sets will allow for quicker acceleration and will be a technological leap for the coach factory. The train sets are currently in the design stage and will start getting manufacturing some time in 2018. For this reason, Indian Railways has codenamed the project as ‘Train-2018’. 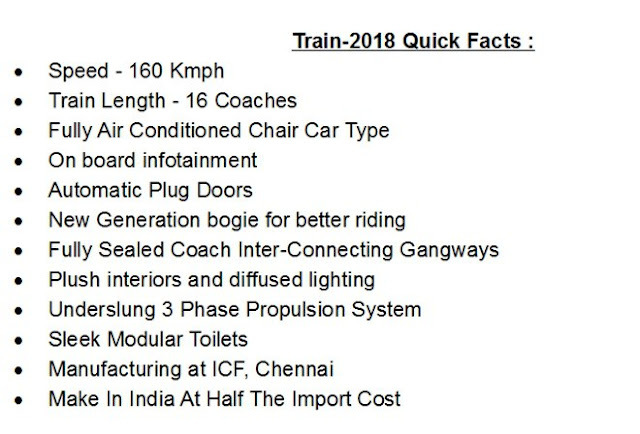 What makes these train sets special, apart from the fact that they mark a leap for ICF, is that they will be manufactured at “half the cost” if the same were to be imported! The new train will have 16 fully air-conditioned coaches, and will boast of ‘world-class’ passenger amenities. Proposed for inter-city superfast travel, the train sets will replace locomotive-hauled intercity express trains. The train sets will have ‘Automatic Plug-Type’ doors which will open and close automatically at the stations. Like most chair cars, the train will have wide windows.